Christian Media in Nigeria : Holy Ghost Congress 2018 "Glory Ahead" takes place from 3rd - 5th December. Holy Ghost Congress 2018 "Glory Ahead" takes place from 3rd - 5th December. The Holy Ghost Congress 2018 is taking place from the 3rd - 5th of December 2018. The theme is "Glory Ahead"
As always, Pastor E.A Adeboye and other anointed ministers of God will be ministering. The venue is Redemption Camp, Km 46 Lagos-Ibadan Expressway, Ogun State, Nigeria. Here is the welcome message by the Pastor E.A. 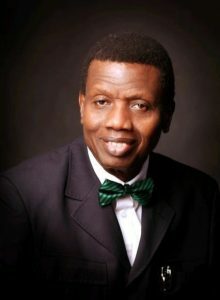 Adeboye. By now, I am sure, you already know the meaning of glory. it is the opposite of shame.Shame belongs to the Devil. Christ in us is the hope of glory.He is glory personified.He is the source and giver of glory.He is the one we have come to celebrate as we did at all the past Congress. As you celebrate the King of Glory, you can be sure of a glorious experience all through this season and the new year. I encourage you to make these six days the best you have ever spent. Attend the morning, afternoon, evening programmes – they are prayerfully and specially put together for you. Remain in the attitude of worship. Be prayerful. Be expectant. You are here for a special encounter with God. Do not allow anyone or anything to distract you. Hook unto the King of Glory – He is the reason why you are here. Once again, welcome to the presence of the Almighty God for a next six days.